Y’all there is hope for humanity yet. 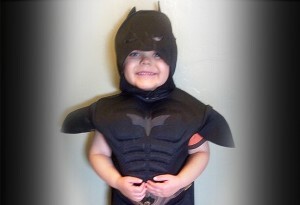 In case you missed it yesterday Gotham City (San Fransico) was attacked, but never fear Batkid was there! Miles, who is now five years old, was diagnosed with Leukemia when he was only 18 months old. According to the Make A Wish Foundation, Miles found hope in super hero stories as he was fighting his battle with cancer, so when it came time to Make A Wish he wanted to be Batkid for a day. Basically the entire City of San Fransico Gotham chipped in, including the Mayor, Lou Seal (SF Giants mascot), the SF Chronicle, over 11,000 make a wish volunteers, an adult Batman, and of course Batkid’s trusty sidekick Robin (Miles’ little brother). Batkid started off his day by saving a damsel in distress on the Gotham city cable car, then nabbed the Riddler while he was trying to rob a vault, Batkid stopped for lunch only to hear that Penguin had kidnapped Lou Seal! 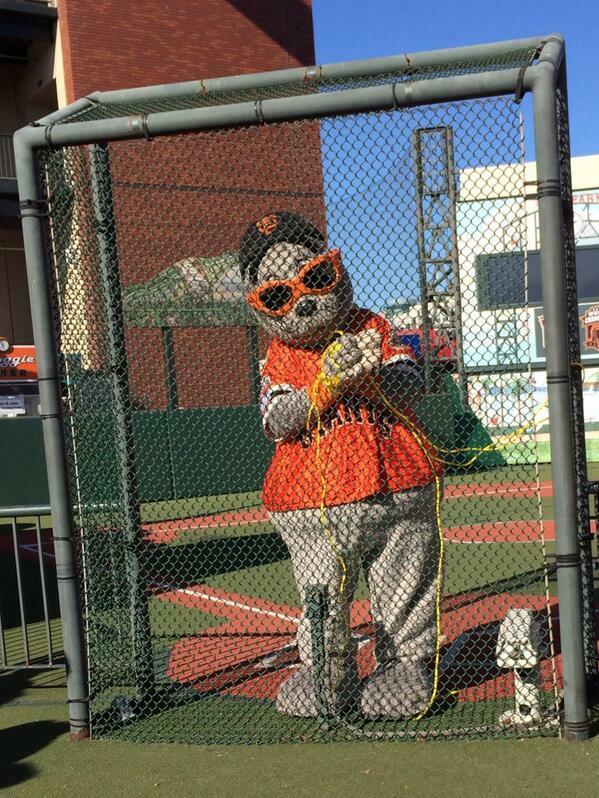 Batkid was off and had Lou Seal saved in no time! 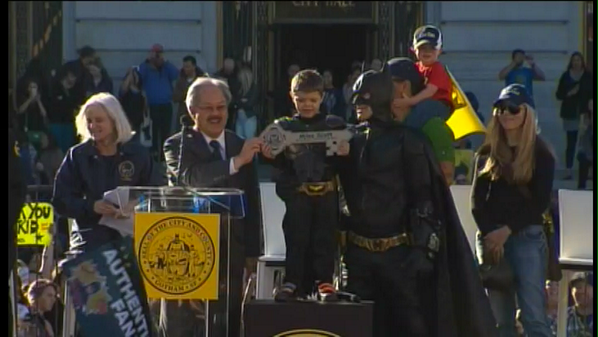 The Mayor of San Fransico Gotham presented Batkid with a key to the city as a thank you for all his hard work keeping the city safe! Miles also got a shout out from President Obama! If that story didn’t make your heart explode then you might be a robot. I’ve had a few friends fight cancer and get wishes through Make A Wish, which were all really cool but nothing like what Make A Wish made happen for Miles. I think it really is a testament to not only Make A Wish but also the city of San Fransico, and social media for spreading the word about Miles’ wish! 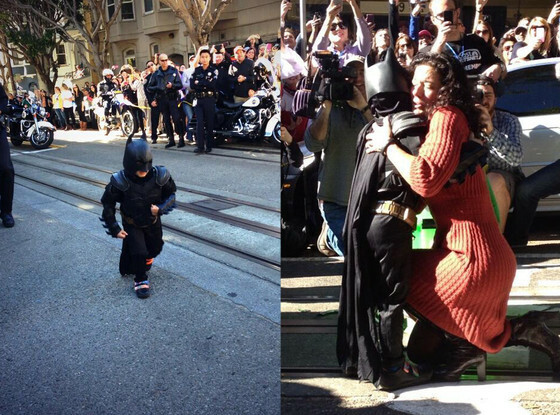 If it weren’t for Facebook and Twitter there would not have been as many people to cheer Batkid to victory. It’s a beautiful testament to the human heart that so many people wanted to support Miles in his fight. Miles recently underwent surgery to remove a tube that had been used in his treatments because after all this time of of fighting he is in remission! Miles’ mom Natalie told ABC News “This wish has meant closure for our family and an end to over three years of putting toxic drugs in our son’s body”. 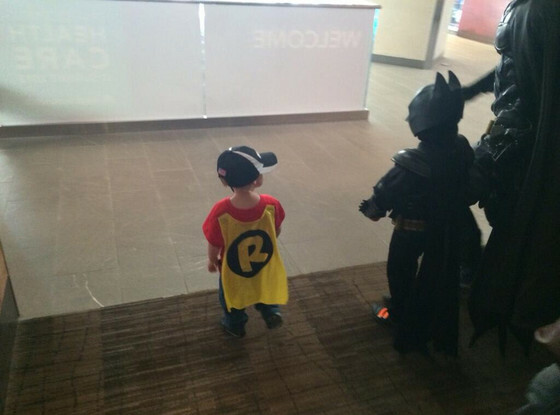 We’ll continue rooting for you Batkid! Good luck!